Earlier in March, we took delivery of our first KTM 790 Adventure and the team were blown away! 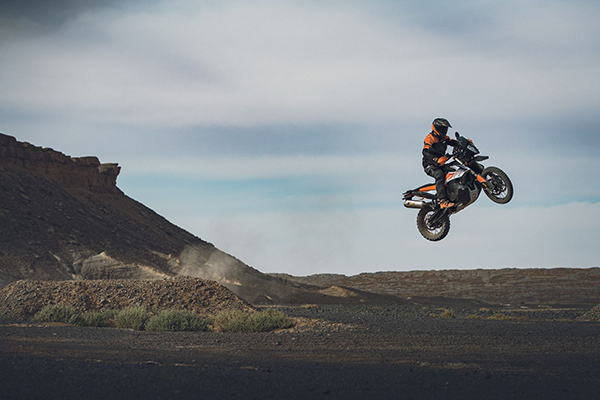 The KTM 790 Adventure and KTM 790 Adventure R have been hotly anticipated at AMS HQ since KTM first gave wind that they were looking to produce agile, lighter, more user-friendly adventure bikes with all the offroad power and prowess of the rest of the KTM Travel range. It’s fair to say some of us were skeptical, but we’ve learned by now not to underestimate the engineering brilliance of the KTM team. They spent months testing the new 790s in some of the toughest conditions out there, frequently pulling them out of rivenes and piecing them back together. And it’s fair to say they’ve nailed it. The custom designed LC8c 799cc parallel twin engine gives riders plenty of power, but the lighter frame with ergonomically designed fuel tank and seat make the 790s a dream to ride off road for riders of all skill levels. Want to get your leg over one of these beautiful offroad KTM machines? Pop into our Tewkesbury showroom or call our KTM team on +44 (0) 1684 292929 and they’ll be happy to arrange a demo.